First time I saw the Blame button, I was scared to put any of my code up on GitHub. I thought, “Why would I want people to publicly blame me?” Fortunately, the Blame functionality has absolutely nothing to do with its connotation. For example, you can look at the 3rd line of the main.js file for my simple electron app. at some time 7 months ago, I made a commit “added close button” that changed the 3rd line of code. I added “ipcMain” to the constants. shortly thereafter, about 7 months ago, I made a commit “appears in tray” that changed the 3rd line of code. I added “Tray” to the constants. or you can click the box-looking button to the right of the 7 months ago commit date. Clicking on the View blame prior to this change now shows you the file before the “added close button” commit was added. Why this commit? Because this “added close button” commit was the last time line #3 was changed after the “appears in tray” commit. You’re just walking back up the log for a given line of code. Let’s go one more click up the chain. Clicking on the View blame prior to this change for the “added close button” now shows the original file at the time of its initial commit. You’ve now just walked all the way up the chain of changes to a given line of code. 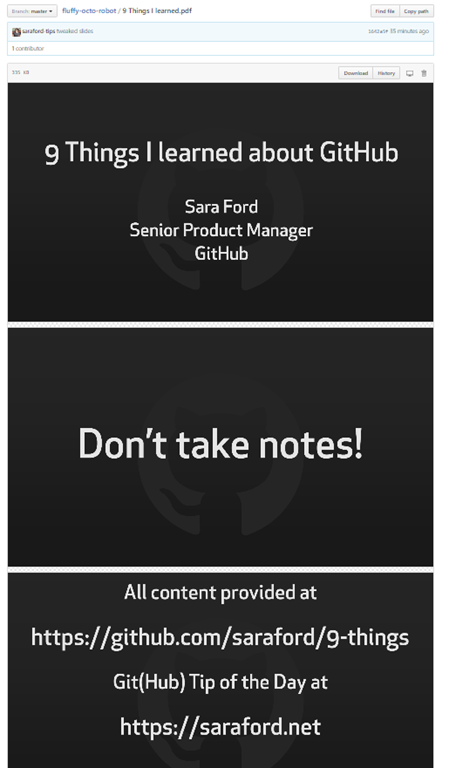 If you give talks or want to upload extra documentation or slides to your repos, you have a couple of options! First, you can simply upload your slides, e.g. .ppt or .pptx, to your repo. You won’t be able to see the slides when you click on the PowerPoint filename, but anyone who clicks on View Raw will download the deck. 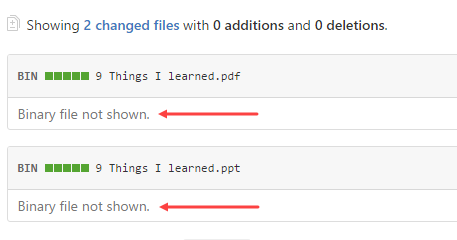 GitHub will render your PDF files as subsequent images. Unfortunately, because these are binary files, you won’t be able to see any rich diff information for the commit. Markdown not your thing? 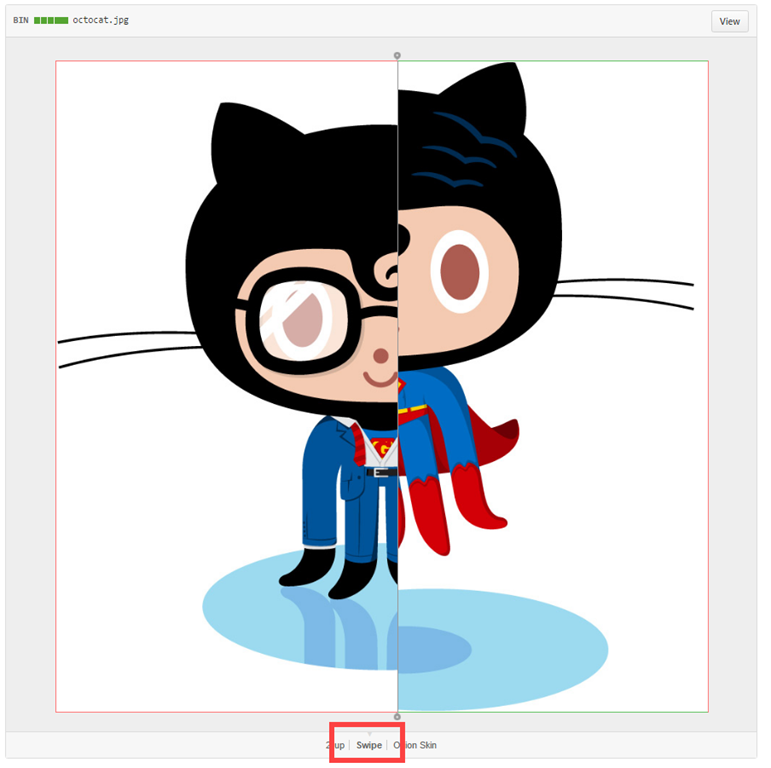 GitHub supports more than just markdown for your Readme markup language. You can view the full list of supported markup languages. For example, the following readme is written in Creole instead of markdown. The code used to render readmes on GitHub is an open source project called Markup which is accepting contributions. Now if you’re like me and love to break software by trying different combinations of things, you might ask, “What happens if I add both a README.md and a README.creole or other markup language file?” It looks like the first readme file that got created wins (i.e. the readme that is displayed). If you delete the readme file being shown (e.g. 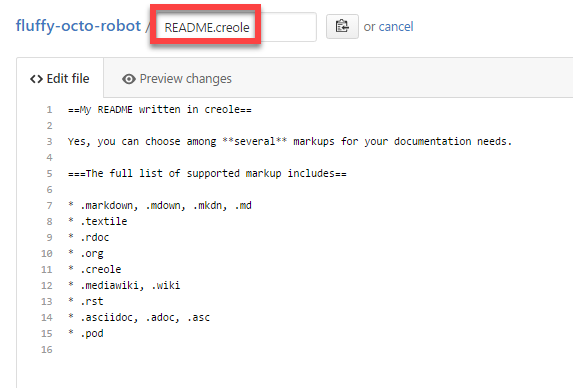 README.creole as shown in my example) and you’ve already added a README.md file, the README.md file’s contents will be displayed. If you have a csv or tsv file in your repo, GitHub will automatically display it as a table that you can search and filter on. 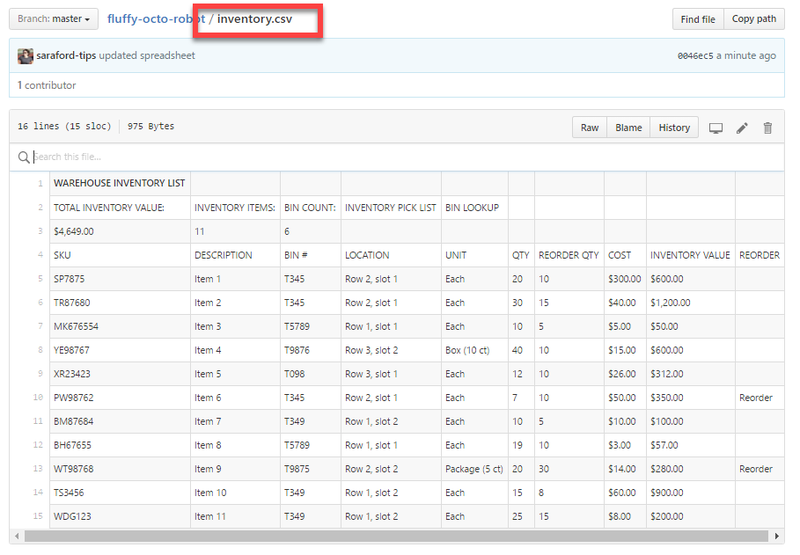 You can also search within the spreadsheet. Although I couldn’t find a keyboard shortcut, as ‘s’ goes to the overall search this repo search box. 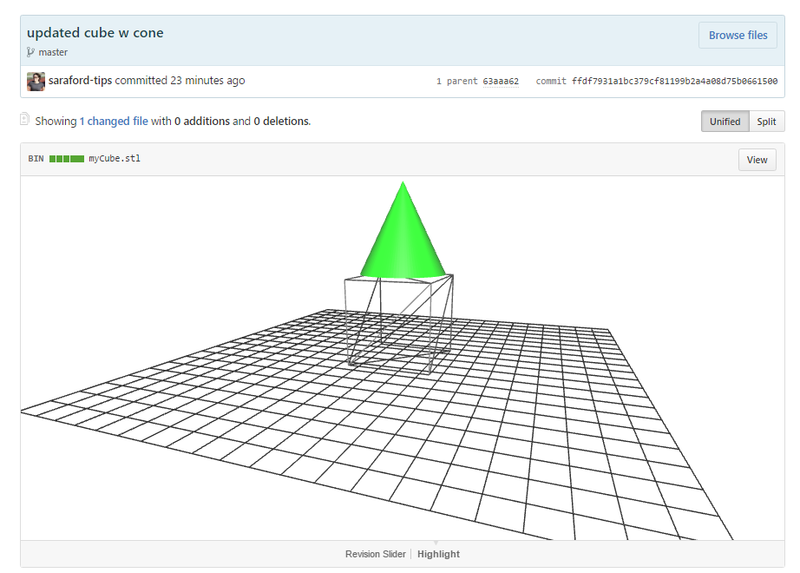 GitHub has a built-in 3D file viewer that allows you to get a 360 degree view of your 3D models. 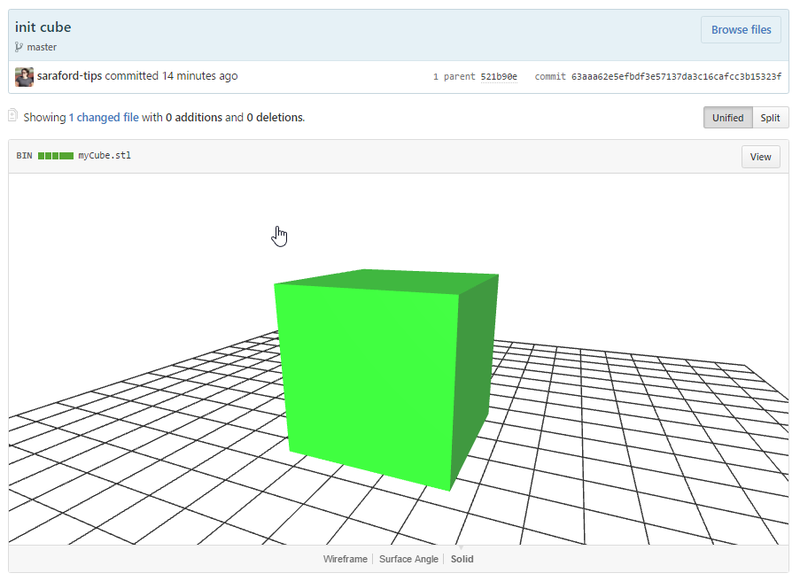 This 3D file viewer also gives you an interactive diff experience to compare changes between commits! 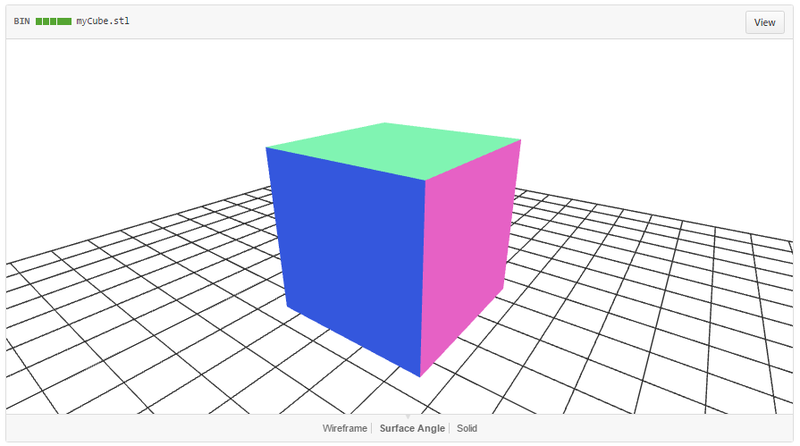 I created a quick cube using Microsoft’s 3D Builder. I added it to my repo and pushed it up to GitHub. 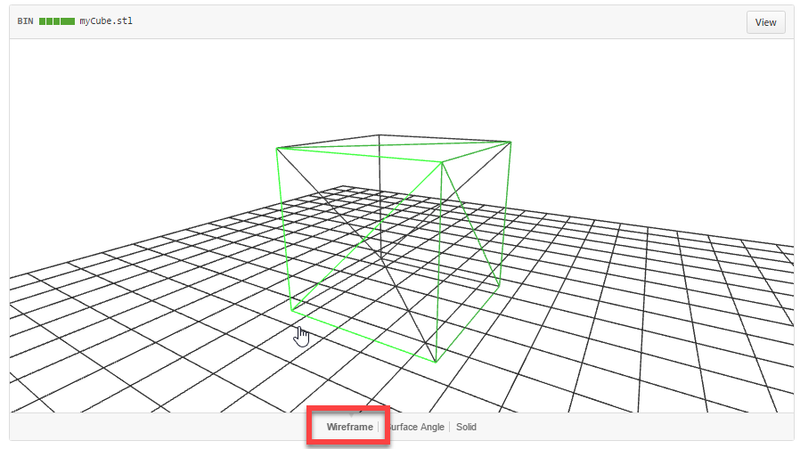 There are 3 options for viewing the 3D model. And the grand finale, how to view a diff of a 3D Model. 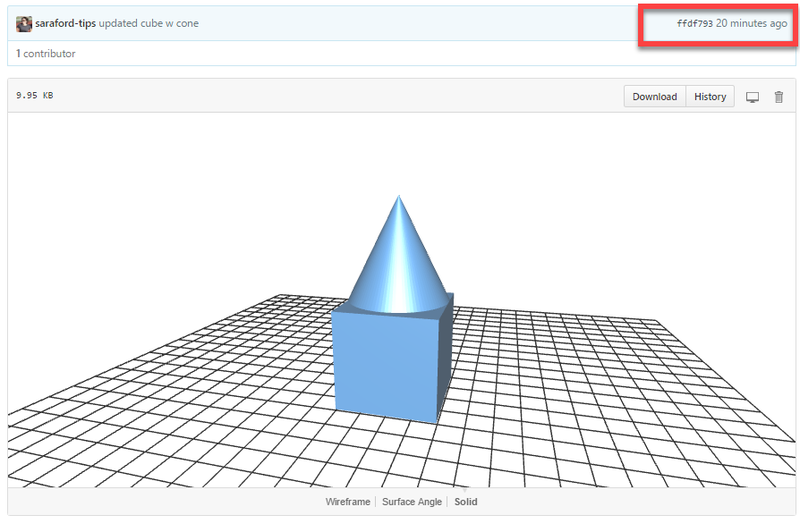 Using the 3D Builder software, I added a cone to the top of the cube. I pushed these changes up to GitHub. If you look at the diff of the commit (click the commit ID circled in red above), you’ll see the diff viewer. By default it shows you what’s changed. Since I added a cone, the cone is shown in green (for additive). At the bottom of the image, you’ll find the Revision Slider. Click this link for an interactive 3D diff experience! In the image below, you’ll see how the cone is added. 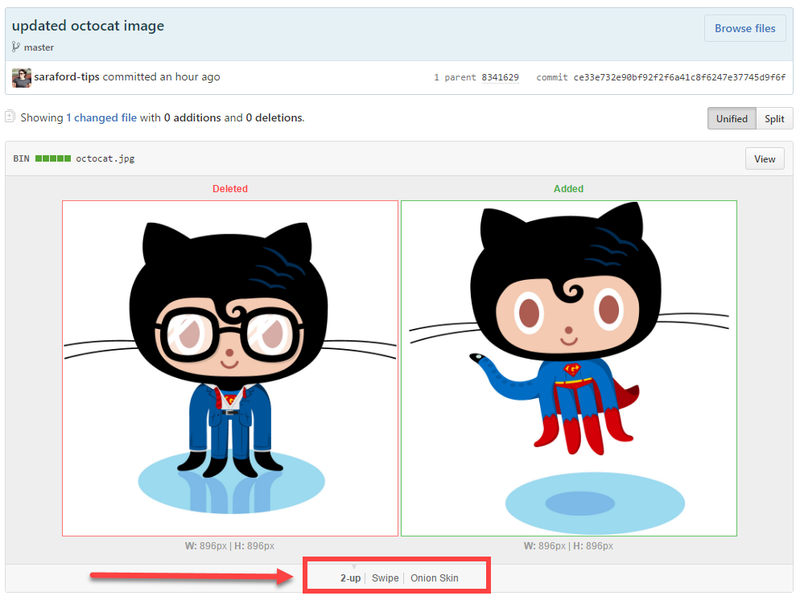 GitHub offers 3 ways for you to diff your images. For example, this commit diff shows how I checked in an image and then changed the image completely in the next commit. At the bottom of the image, you’ll see the options for 2-up, Swipe, and Onion Skin. The default view is the 2-up, which shows the images before and after side-by-side. Swipe allows you to do more of a pixel-by-pixel comparison by allowing you to slide a splitter back and forth over the image. Today’s tip of the day images are brought to you by https://octodex.github.com/. And thanks to the Help Documentation for clarifying when to use Onion Skin versus Swipe! 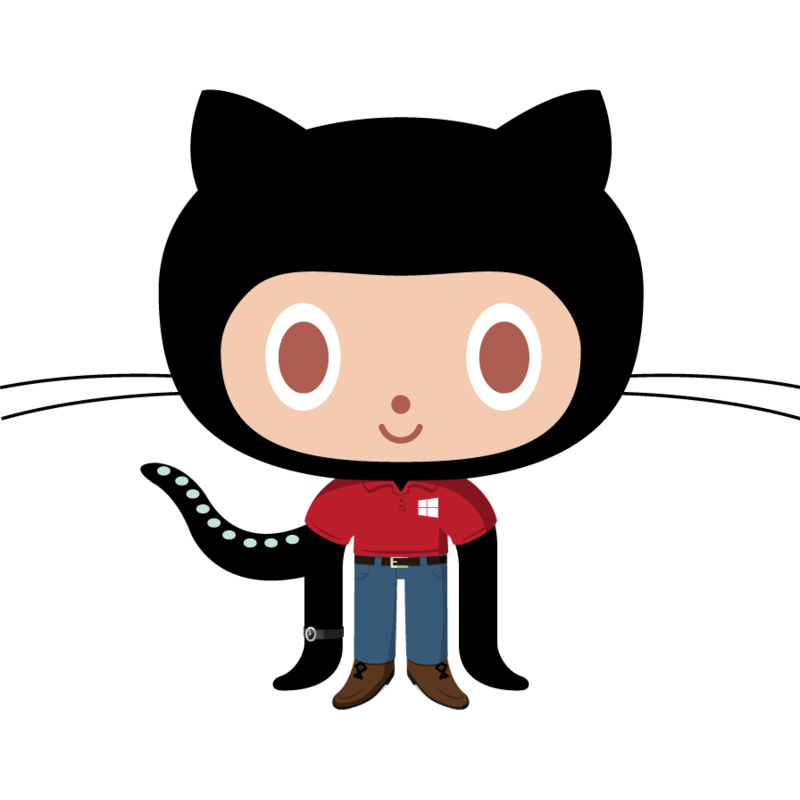 GitHub users love stickers. Especially at conferences. It’s hard playing Oprah. I’ve never given out so many stickers in my life! There’s the standard Octocat image, but did you know we have an Octodex? If you’ve got questions about what you can and cannot do with your new favorite Octocats, check out our Octodex FAQ for some answers. My favorite (of course) is Red Polo.